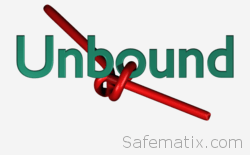 Unbound is a validating, recursive, and caching DNS resolver. # Unbound configuration file for Debian. # See the unbound.conf(5) man page. # reload, only on restart. # Enable IPv4, "yes" or "no". # Enable IPv6, "yes" or "no". # Enable UDP, "yes" or "no". # due to their size. # enable to not answer id.server and hostname.bind queries. # enable to not answer version.server and version.bind queries. # Will trust glue only if it is within the servers authority. # Harden against out of zone rrsets, to avoid spoofing attempts. # spoofing significantly harder and does not mandate dnssec. # which insists on dnssec data for trust-anchored zones. # Use 0x20-encoded random bits in the query to foil spoof attempts. # same as CaLoMeL.Org which is the same as CALOMEL.ORG. # the time to live (TTL) value lower bound, in seconds. Default 0. # If more than an hour could easily give trouble due to stale data. # cache. Items are not cached for longer. In seconds. # local clients by 10% on average. # of CPU cores in the machine. Our example machine has 4 CPU cores. # box has 4gig of ram so 256meg for rrset allows a lot of room for cacheed objects. # the kernel buffer larger so that no messages are lost in spikes in the traffic. # 'local-data' names are allowed to have these private addresses. No default. # Allow the domain (and its subdomains) to contain private addresses. # local-data statements are allowed to contain private addresses too. # 0 (turned off). We think 10K is a good value. # localhost you will want to allow the resolver to send queries to localhost. # (for testing and debugging). # is removed from secure messages. # account for a 70 percent share of all advertising traffic. Block them. #    local-data: "doubleclick.net A 127.0.0.1"
#    local-data: "googlesyndication.com A 127.0.0.1"
#    local-data: "googleadservices.com A 127.0.0.1"
#    local-data: "google-analytics.com A 127.0.0.1"
#    local-data: "ads.youtube.com A 127.0.0.1"
#    local-data: "adserver.yahoo.com A 127.0.0.1"
# you suspect they could be included in the unbound_ad_servers servers file. # locally served zones can be configured for the machines on the LAN. #    local-data: "firewall.home.lan. IN A 10.0.0.1"
#    local-data: "laptop.home.lan. IN A 10.0.0.2"
#    local-data: "xboxone.home.lan. IN A 10.0.0.3"
#    local-data: "ps4.home.lan. IN A 10.0.0.4"
#    local-data: "dhcp5.home.lan. IN A 10.0.0.5"
#    local-data: "dhcp6.home.lan. IN A 10.0.0.6"
#    local-data: "dhcp7.home.lan. IN A 10.0.0.7"
# Unbound can query your NSD or BIND server for private domain queries too. # needs to resolve a *.home.lan hostname or IP. # instead of the public dns servers.